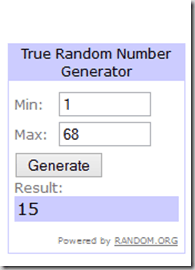 A CRAZY week and Giveaway WINNER! First, let me get to the good stuff. The winner of the Well Fed cookbooks giveaway is DONNA LaPLUME! Congratulations! I have a TON of posts that are in progress including Whole 30 meals. This is the first full week back to school and we have mid-year state testing umm…TOMORROW. This year is extremely different from last year, thanks to Common Core creators having zero experience in K-3. Yes, I went there and I don’t care. So, the stress is already ridiculous and I imagine tomorrow will be excruciating. Oh and the weather people had the audacity to tempt me with snow for tonight. But I’m not falling for it. I haven’t seen snow in Alabama in forever and refuse to get my hopes up. Official Whole 20 Day 2. I’m already cranky but that may be due more to #1 than my sugar restrictions. My cat has decided that he needs my body heat more than I need to finish this post. It’s a tuesday. Enough said. Previous Post: « A Well Fed GIVEAWAY!!! !